All the information and photos in cactus art files are now available also in the new the Encyclopaedia of Bulbs. We hope you find this new site informative and useful. 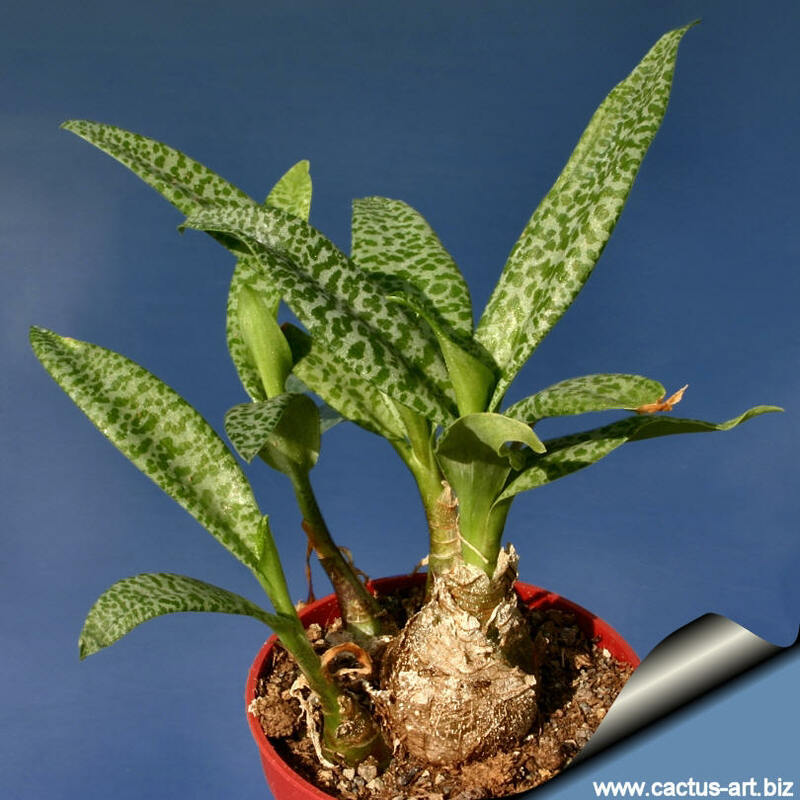 Ledebouria pauciflora (Scilla pauciflora) is a lovely undemanding houseplant; always a favorite carefree windowsill citizen, and a great visual companion to the more commonly available L. socialis. 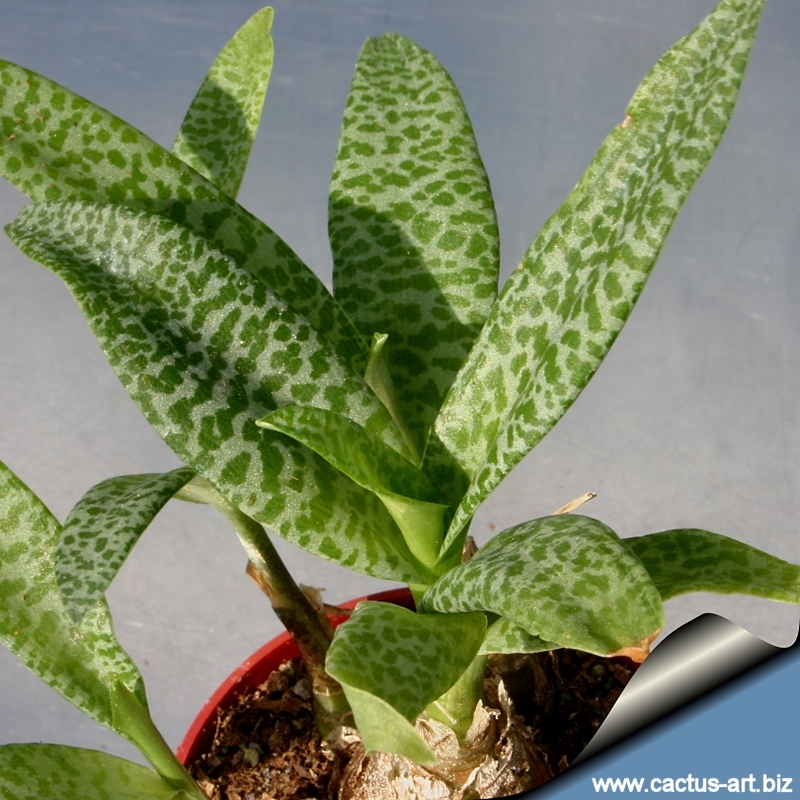 Wonderful miniature with delicately mottled fleshy leaves on clustering glossy surface bulbs. 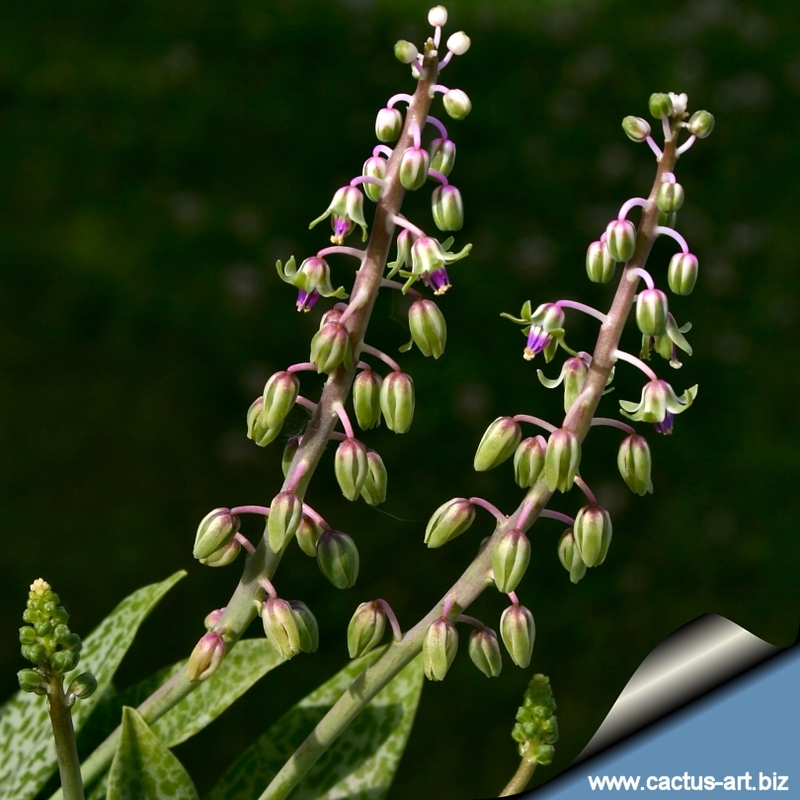 Scilla Pauciflora Link, ex Schult. Bulb: Clustering, teardrop-shaped with a glossy surface, clothed in peeling, papery tunics that prevent water loss 2-5 cm broad that necks above soil. Leaves: A pair, opposite, or rarely three, fleshy, spreading, oblong-lanceolate, acute, undulated, delicately pale green and spotted on the face, 5-7 cm long and 2-3 cm wide, narrowed at base. Flowers: Perianth greenish, rounded-campanulate, nearly or quite 6-7mm long, the segments falcate; pedicels five to six lines long, the lower ones drooping; raceme loose, twenty to thirty-flowered, oblong, 7. to 10 cm. long, 3 to 4 cm broad; scape firm, unspotted, terete, 7 to 10 cm long. Cultivation: It is a Lovely undemanding houseplant; always a favorite carefree windowsill citizen; excellent addition to any dish garden. 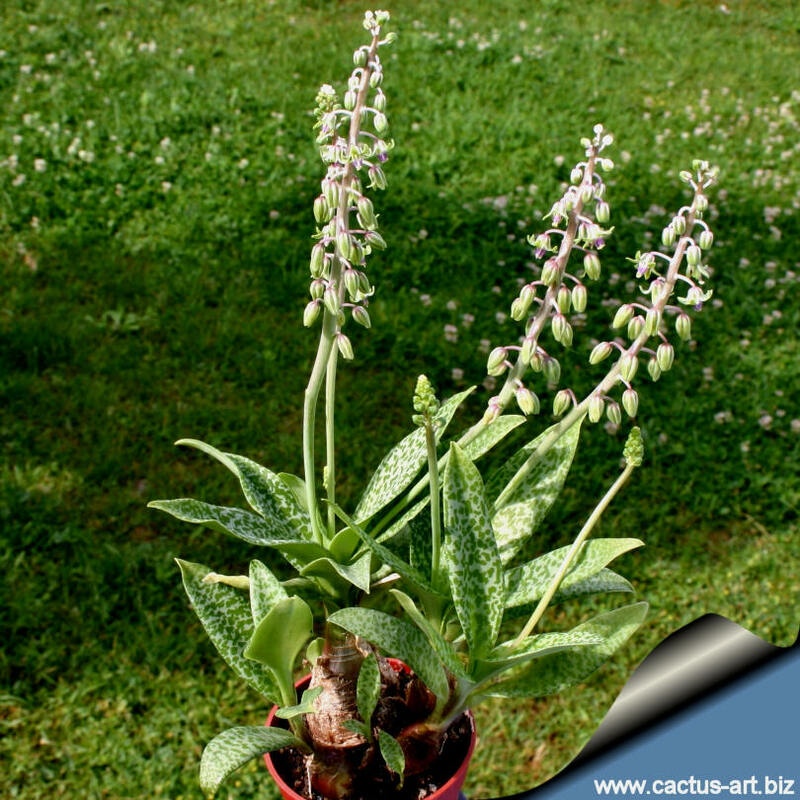 Needs full sun to partial shade with a well-drained soil mix. Let it dry completely between waterings. Feed monthly with 50% strength soluble house plant food when it is actively growing. Hardy down to freezing so best kept in a frost free place indoors and can be grown outside where there is no danger of frost. Bulbs at the base of the plant must be above the soil. Propagation: Seeds or (usually) by division of bulb-clusters.